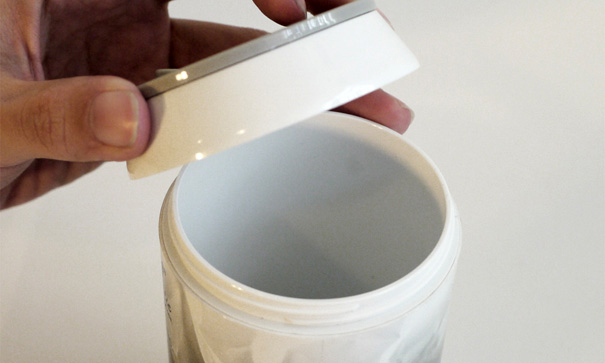 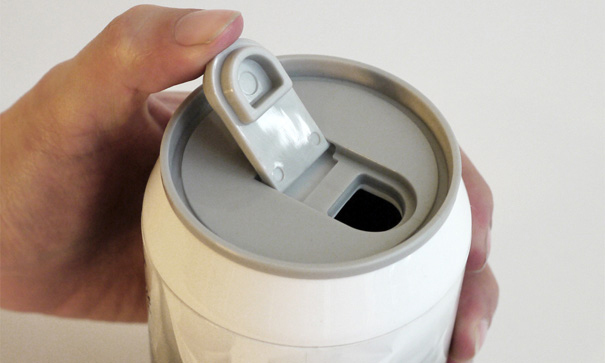 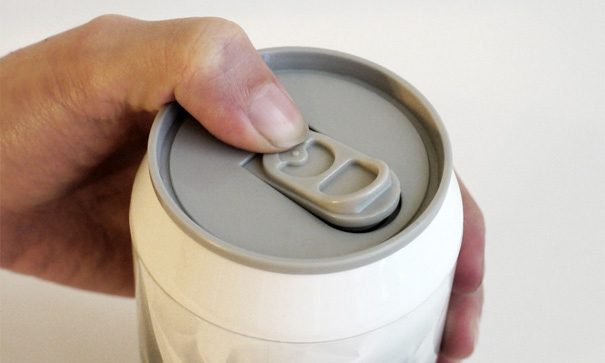 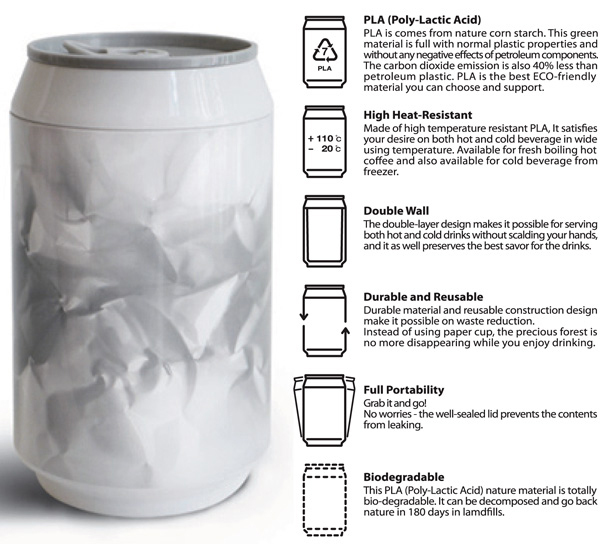 It’s shaped like a tin can, but is actually made of a plastic-like material called PLA. 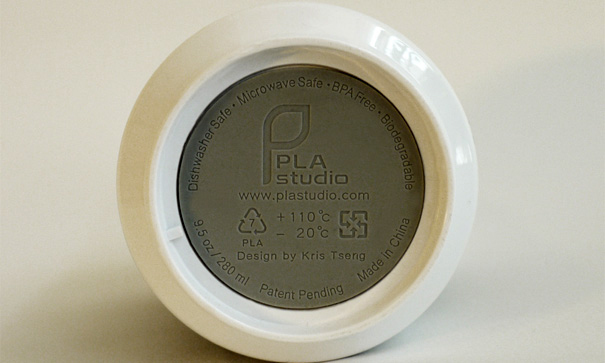 It’s microwavable, durable and 100% biodegradable. 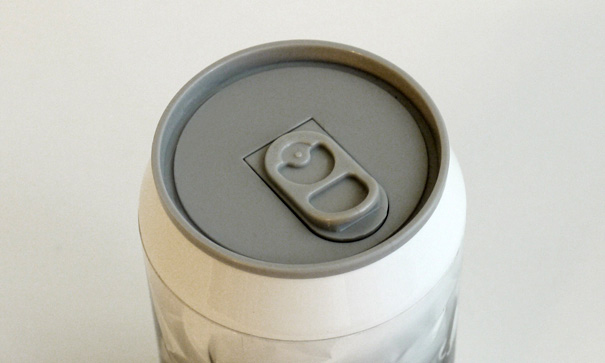 It can even be crushed, just like real tin cans.